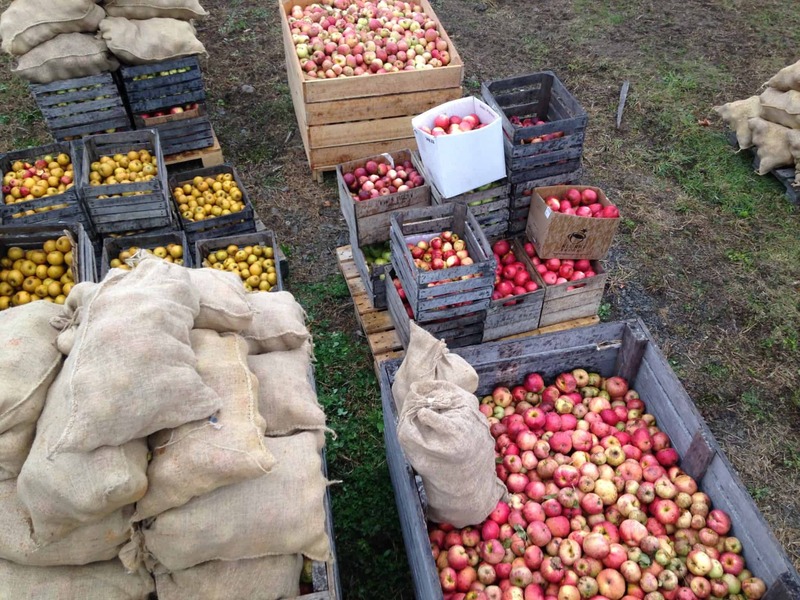 Variety is a defining characteristic in cider. 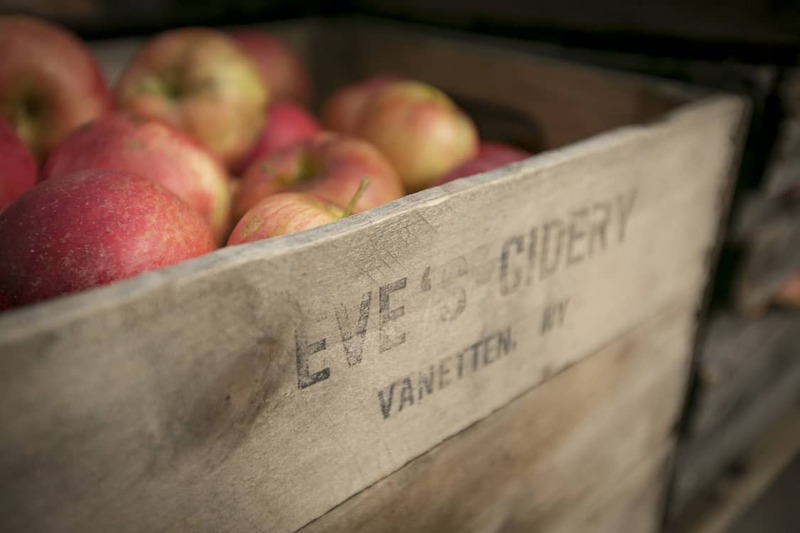 We believe that the best ciders are made with cider specific varieties. 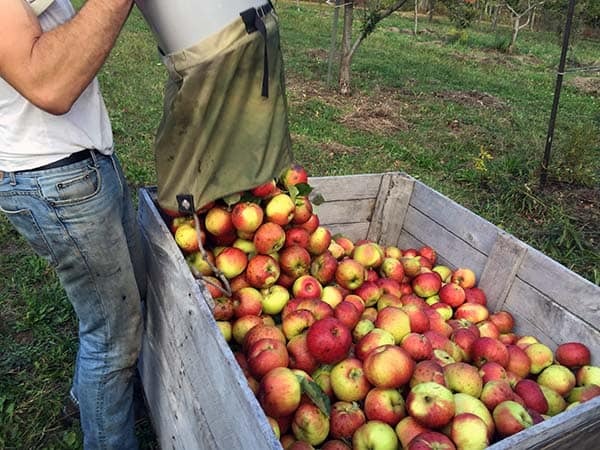 Like wine grapes, cider apples have the tannin, acid, sugar and aromatic precursors necessary to make a complex fermented beverage. Unlike wine grapes, these characteristics are rarely all contained within one variety. Therefore, most ciders are blends. 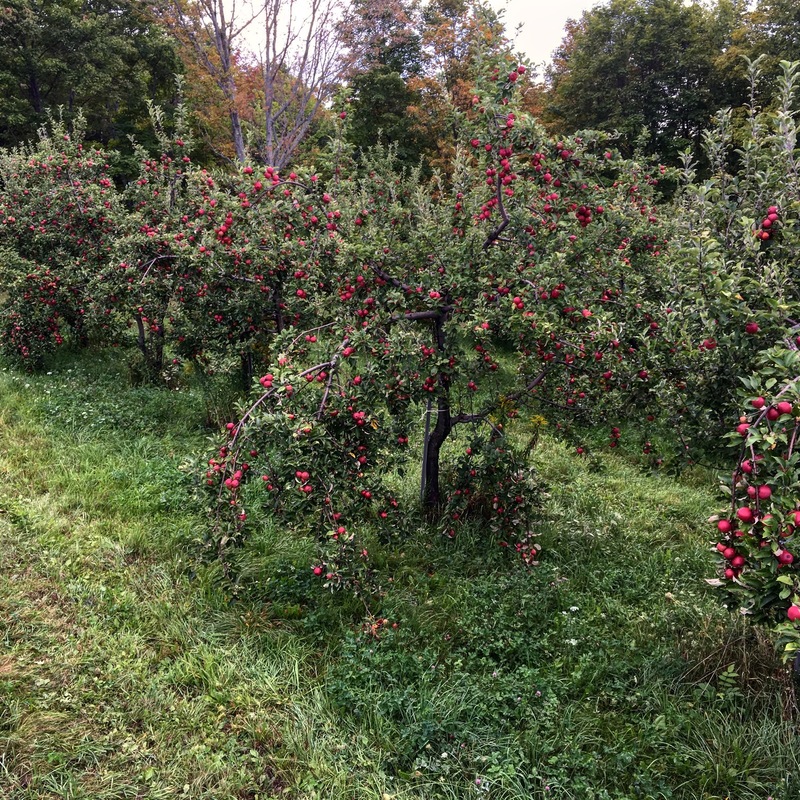 If you are visiting this page because you are interested in growing cider varieties, we highly recommend Cummins Nursery as a source for trees. 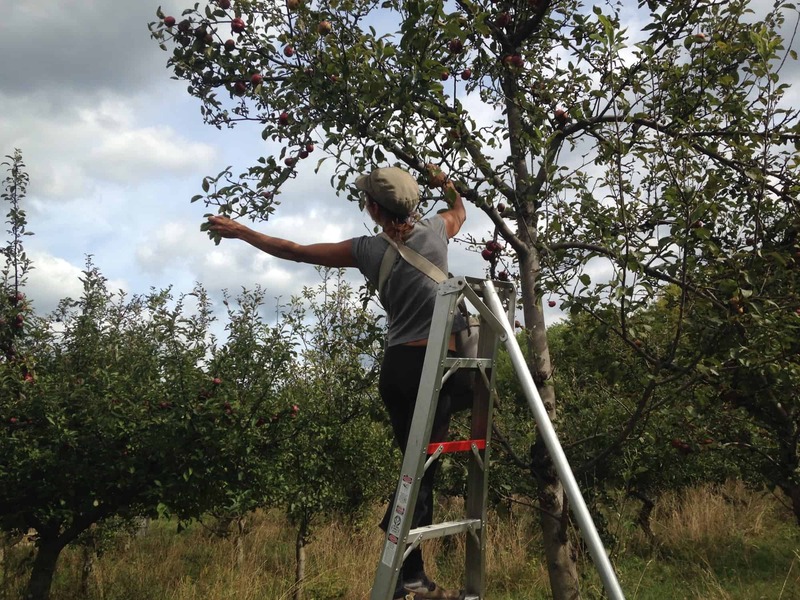 If you're interested in grafting your own trees, scion wood drawn from our orchards is available through our friends at Twisted Tree Farm; we also recommend Cummins Nursery for rootstocks. This chart was developed at the Long Ashton Research Station in the UK. It’s a conceptual simplification, as there are many varieties that could be put in to several categories. It should be noted that tannin is a broad category of polyphenolic compounds and that the organoleptic characteristics of individual tannins can range from silky and smooth to hard and bitter. 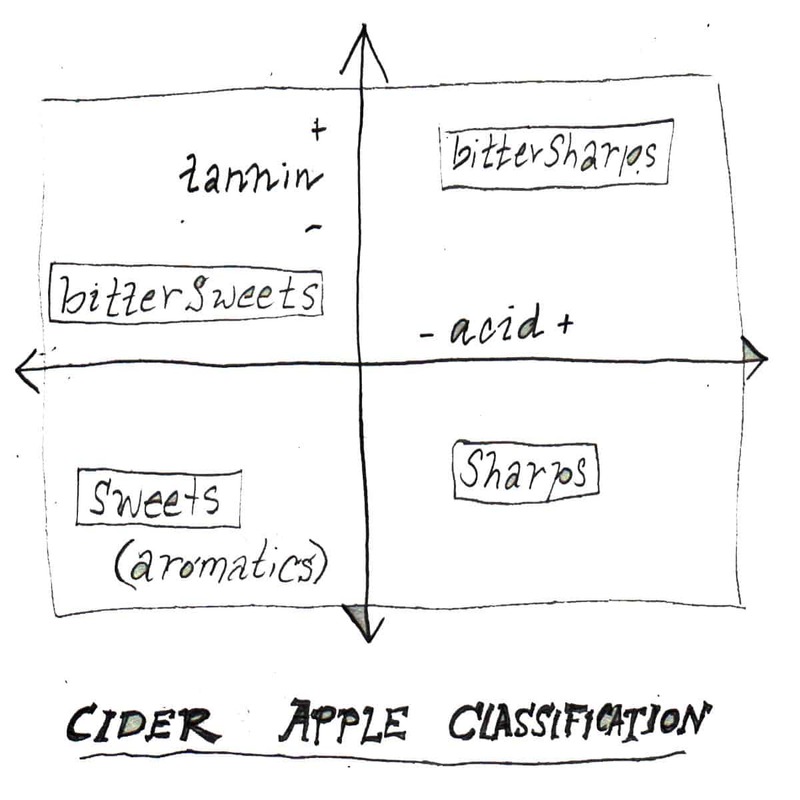 It should also be noted that I have revised this chart and replaced the “sweet” category with “aromatics.” These are apples that we grow for their aroma contributions, not their lack of tannin or acid. Unlike in Normandy, where the AOC determines which varieties can be used in cider, there is no single widely accepted definition of what constitutes a cider apple in the US. Our current working definition is a variety that is used intentionally for its assets to the fermentation rather than a variety you simply have a surplus of. Pears we use in our perry: Brandy, Gin, Potomac, and wild seedling. Like it’s later cousin Idared, Akane’s Jonathan parentage means red apple aromas plus good acidity. 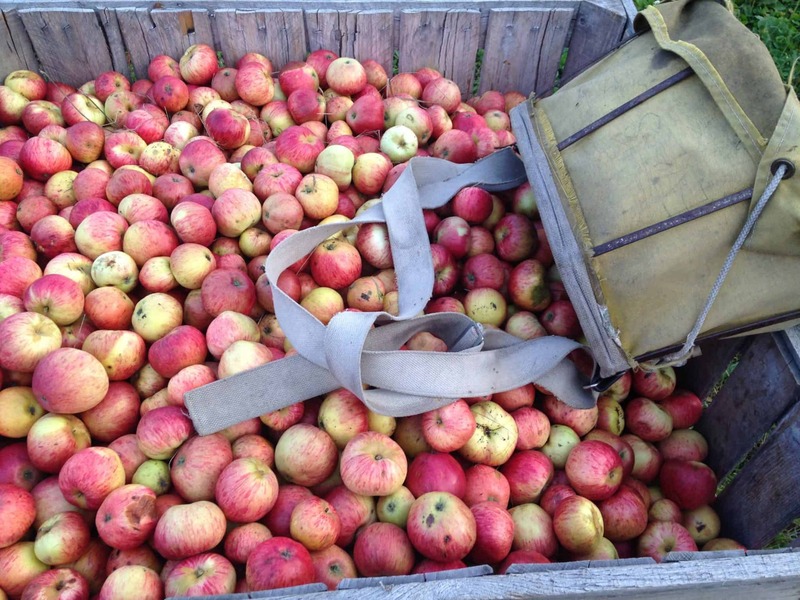 Floral aromas, lots of dry extract, high brix and insane acid characterize this English heirloom's cider qualities. The tree is a shy bearer on our site. Early season English bittersweet. Hard, sometimes quite bitter tannins. Useful source of concentrated tannins for September harvest. The acid is a fresh, bright acid that doesn't come across as "malic;" an important blending component useful for bringing up acidity without changing the flavor. 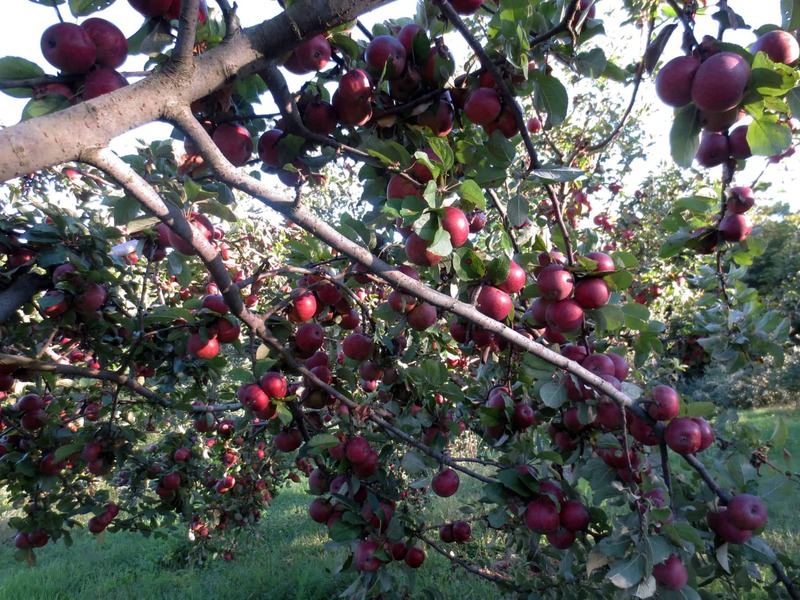 A massive apple size makes harvest easy but this tree can easily be pushed into biennial bearing. Precocious and productive. Tannins are hard and can be bitter and the fruit drops all at once, bruises easily and doesn't hold well. Can make a solid tannic blending apple. 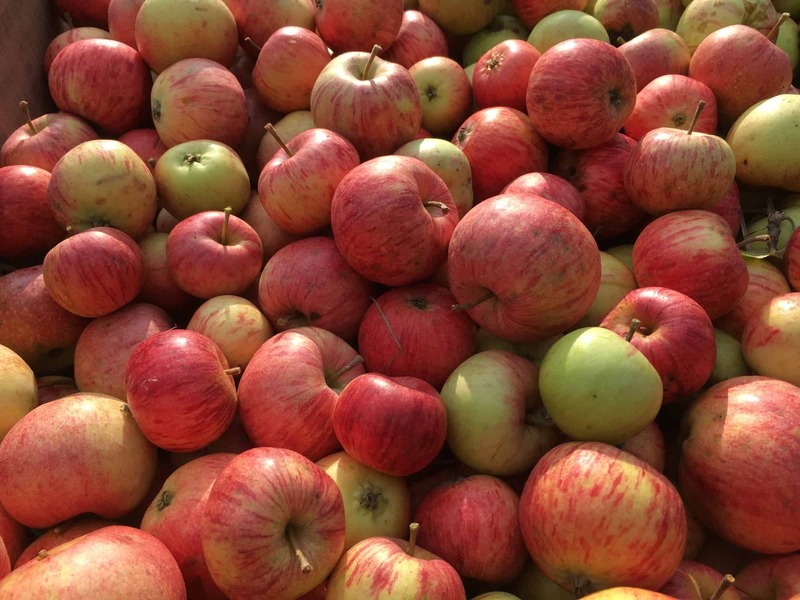 Intensely flavored and quite tart, Cox is a nice blending apple for early September acid and nice 'heirloom' aromatics. An English bittersweet with beautiful aromas, hard tannins and a lot of bitterness. Very fireblight susceptible on our site, in part due to its extremely late blossoming. A beautiful example of an English bittersweet variety, Dabinett has all the attributes we want: ripe apple aromas, leather, smoke, sweat. It has nice firm tannins and good Brix, can be an annual bearer, and is very precocious and productive. So productive, in fact, that we've struggled to grow it right in our organic systems. 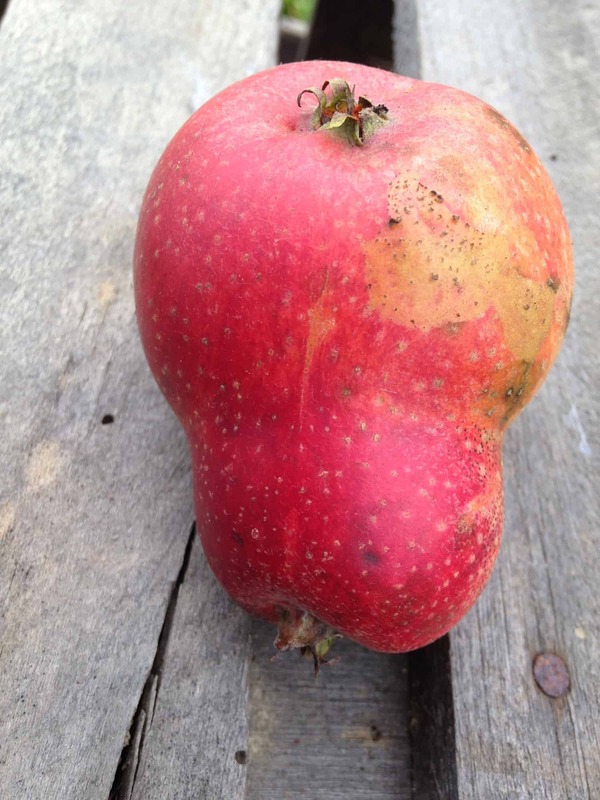 It will often overcrop (the overcropped fruit is not nice) and runt out. We want this apple, so we are still figuring out how to grow it. We have a new planting on B118. Check back in 10 years. Ripening in early September, Ellis Bitter is our main early season bittersweet. Heavenly sweet, ripe aromas backed by solid tannins. The tree is biennial in our organic production system, but when it crops it crops heavily with medium-sized fruit that drops in stages. We make multiple pickings of this variety for the best quality juice. In most years the fruit holds well on the ground if it has a nice mown sod to fall onto. This apple has incredible concentrated smoky/leather/orchard floor aromas plus a firm tannic structure. 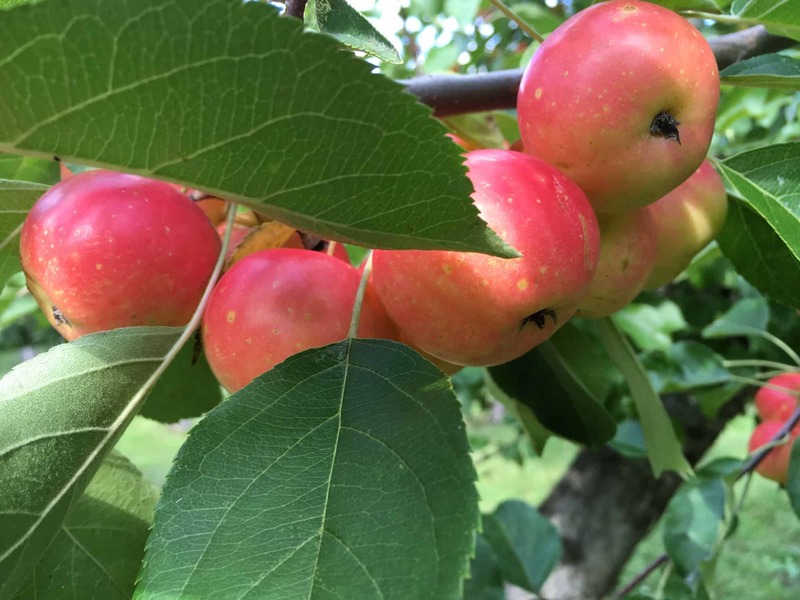 Late to come into bearing, an extremely biennial tree, high vigor and small fruit makes this tree less than ideal for modern high density plantings on fertile soil. But in more challenging sites, Frequin Rouge excels developing unique creosote aroma and a deep sense of smokiness. One of our favorite bittersweets. 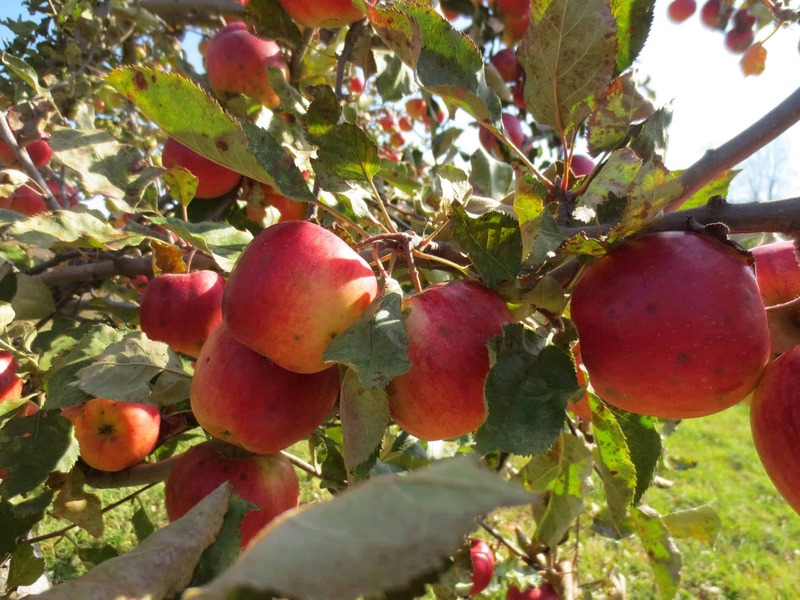 This apple adds a very distinct set of aroma characteristics as well as beautiful richness. 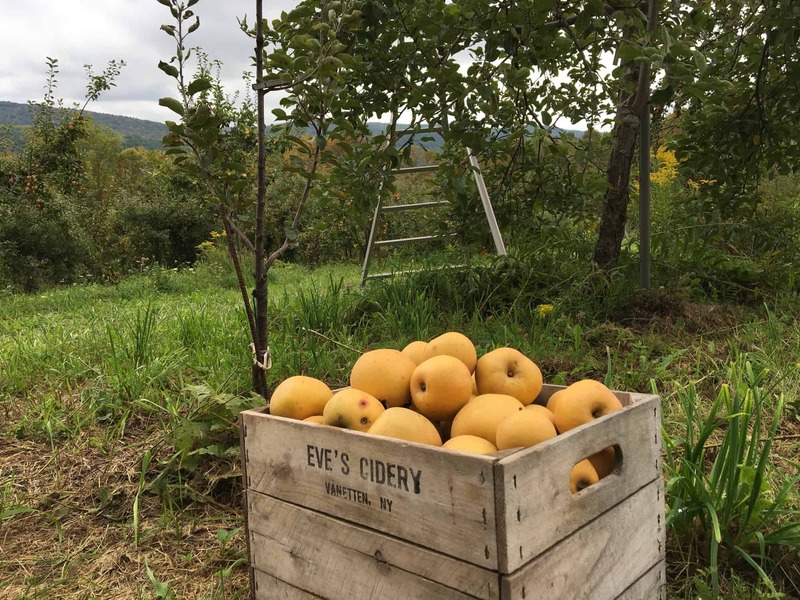 As a single variety, it lacks structure; but we find at about 30%-50% of the blend the cider will retain the aromatics of Golden Russet, specifically ripe melon and stone fruit. Sometimes unripe peach, white peach, ripe peach, or sometimes apricot. In addition to stone fruit, GR (in our fermentations) has a distinctive beeswax/tar/petrol quality. Unusual in that its fresh aromas somehow carry through into fermentation. This variety works well to add a layer of sweet ripe red apple to the fruit in the nose of the cider, carried on nice fresh acidity. 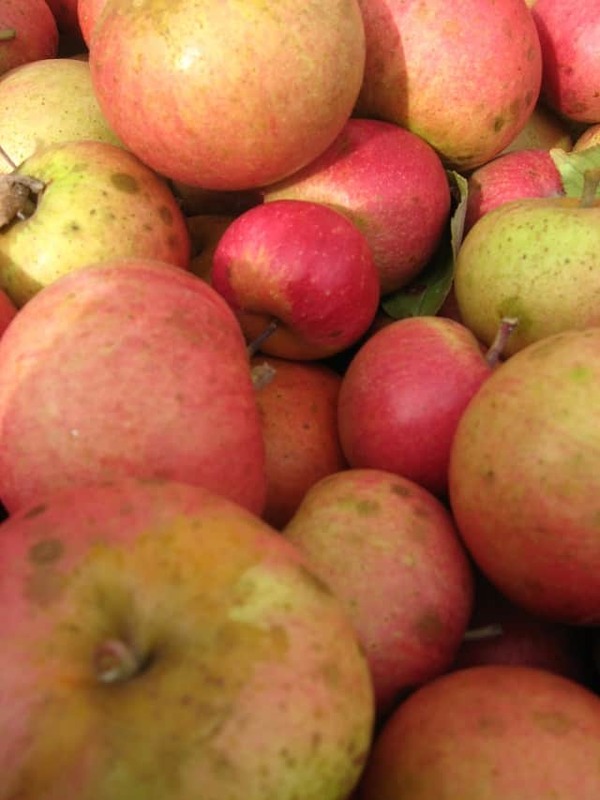 When it comes to aromatics for dessert ciders, a well-grown organic Jonagold is hard to beat. It's also an exceptional apple for bringing fresh apple aromatics to distilled spirits. 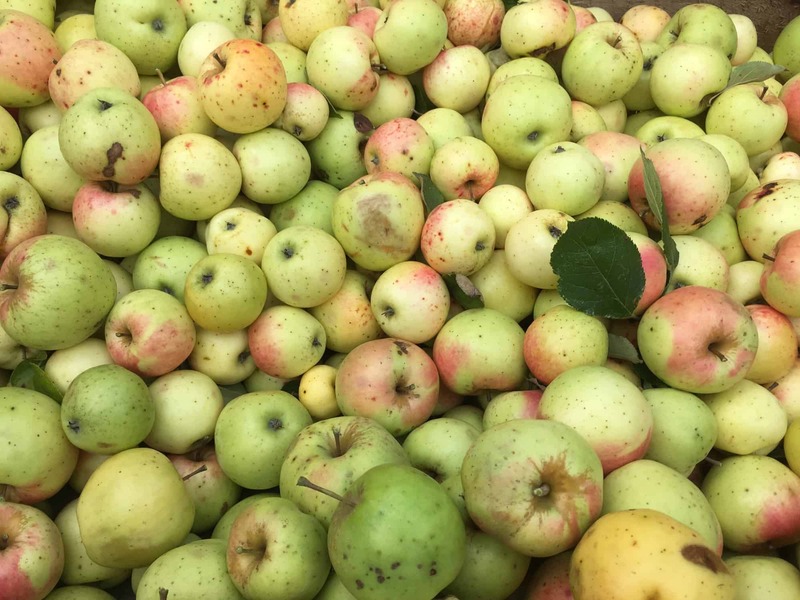 Like no other apple, Krys (as we've named it) produces high-Brix, intensely flavored fruit that almost never ferments to dryness. 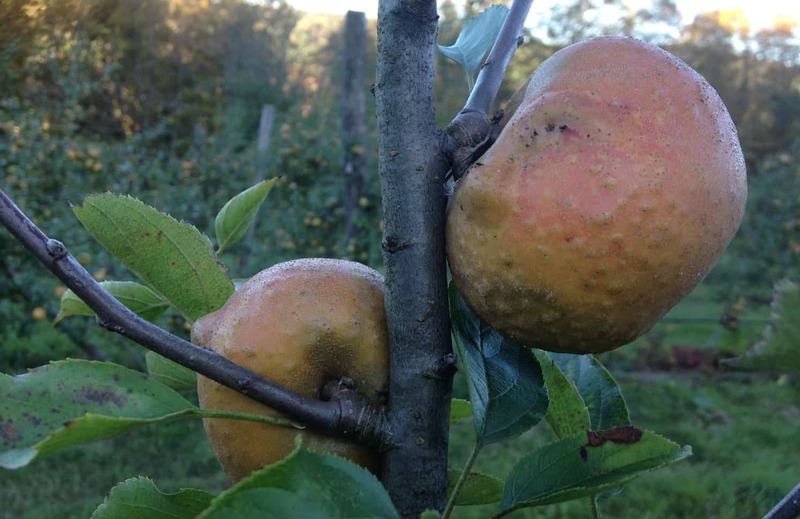 It's probably a rootstock from a series of trials undertaken in our Newfield orchard in the early 1980's, but we've yet to figure out which one. Adds density and a distinctive aromas of exotic spice. Many folks have given up on Kingston Black. 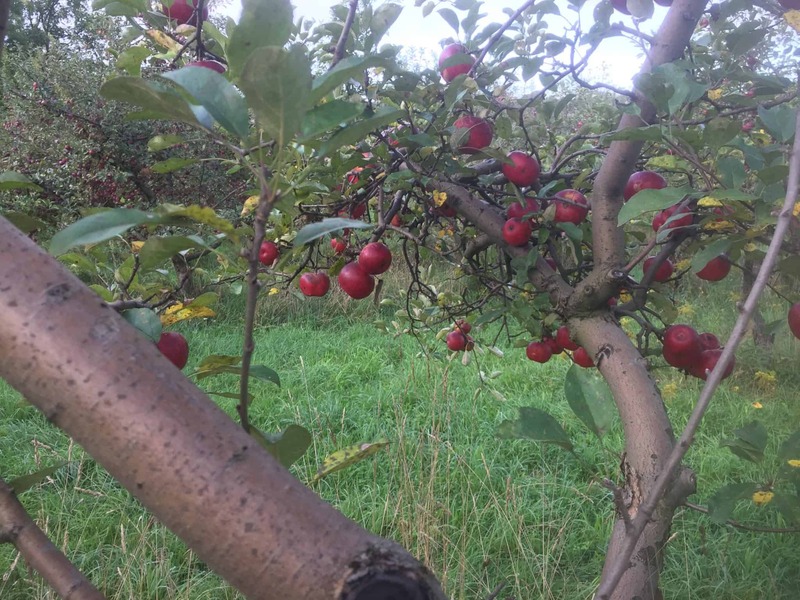 For all the hype about it being the best single variety cider, the tree is difficult to grow—lots of blind wood, slow to come into bearing, small apples, low yields, biennial. The cider, too, can be a challenge to make. The tannins can be very bitter, the flavors centering around tobacco and oxidized apple. But grown well and made well, Kingston Black cider can be revelatory: a seamless balance between tannin and acid, savory and sweet, refreshing and satisfying. We love NS for its minerality; however, this is definitely one of those apples that is fairly insipid when grown and harvested like dessert fruit in the wrong location. Our Spy is specifically the original strain, not “Red Spy” which ferments very differently. It has a neutral sort of fresh/unripe apple aroma when fermented that verges into a salty/ shale austerity. Grown on our dry gravelly ground, it has a refreshing acid-tannin component that is very much wet stone. We often use this as the last blending component; a blend that has the right structure and aromatics will often take on a new level of depth with 10% or 15% Northern Spy. 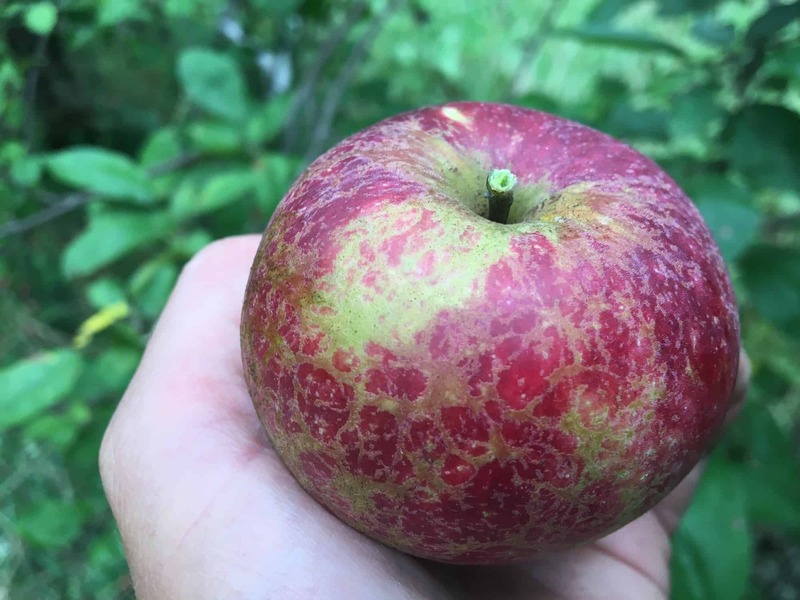 We are pretty excited about how this apple (often identifiable by its fused fruits) seems to express petrol and mineral characteristics on our Van Etten site. 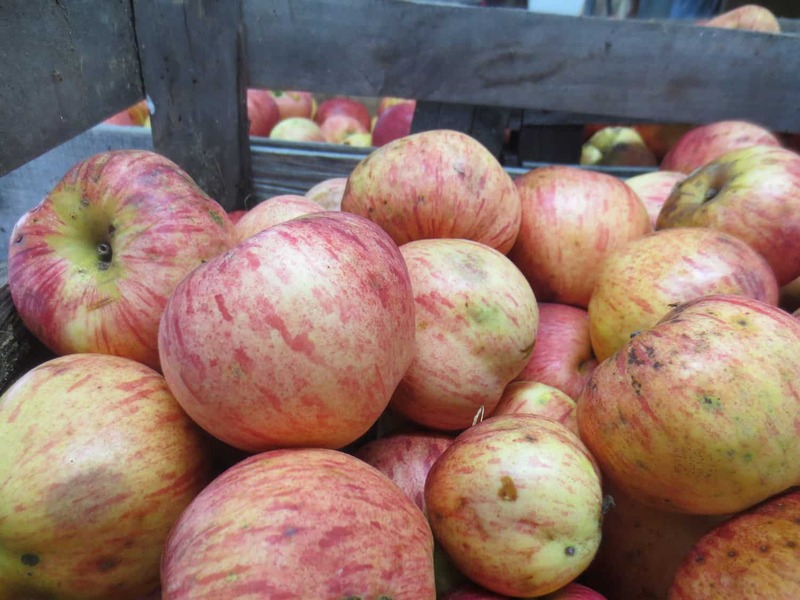 This apple also has BSA aromas, as well as a bright fresh acid. Delicious tropical aromas, plus density and balanced acid. A lovely, weeping growth habit and regular annual bearing. Resistant to scab but will crack with excessive swings in ground moisture. Nice soft tannin and great acidity. 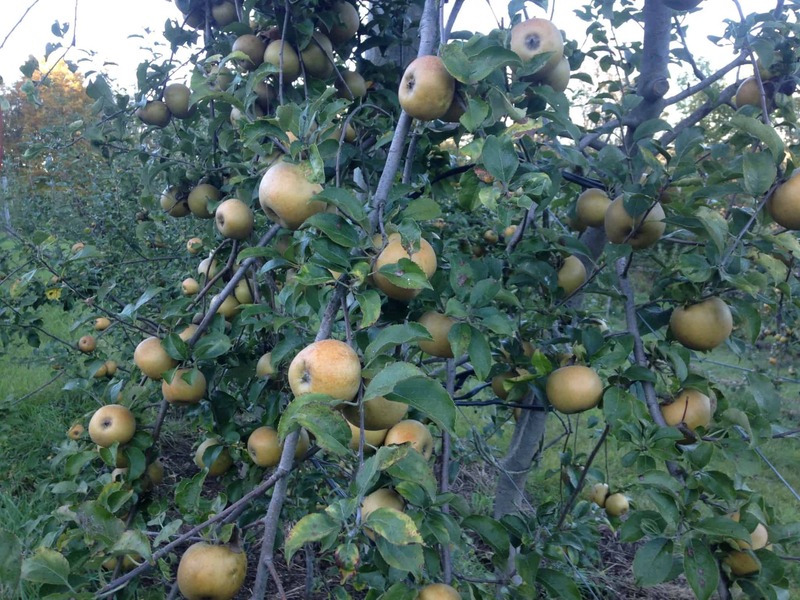 This variety is excellent for cider, but difficult to grow. It is extremely biannual and prone to canker. This apple drops all at once in late August. Be there or be square. Basically a summer apple with relatively low sugar, we prize this apple for the intensely pretty aromatics it will contribute to cider. 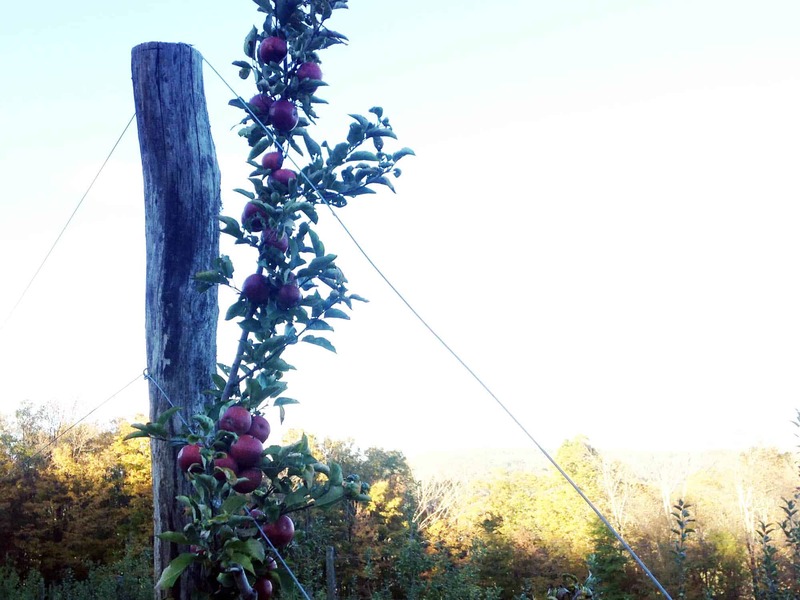 As the climate warms, we find ourselves drawn more and more to this apple from the southern end of our Appalachian mountains. Brix on this gem ranges from 16 to 20, depending on the year on our site. 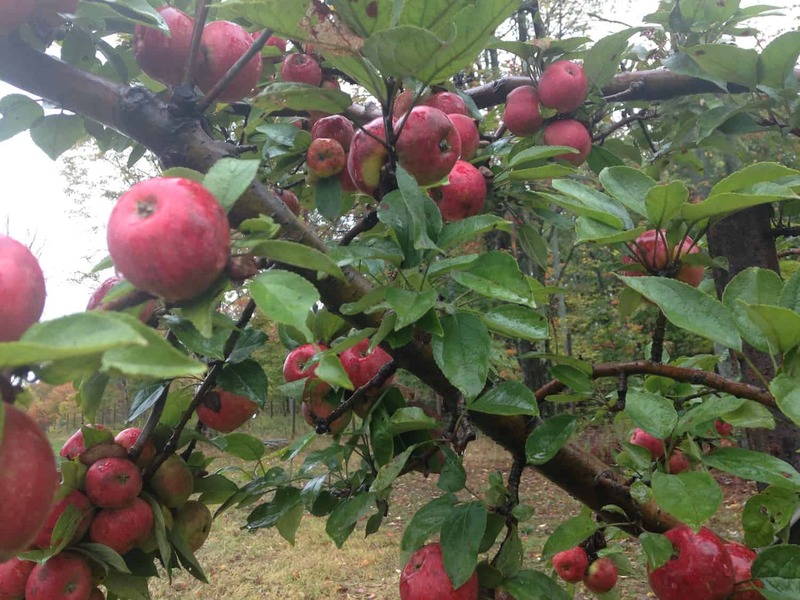 Besides having beautiful tannins, this apple contributes sheer energy to cider. A fresh aliveness that's unique. Virginia Crab really is a crab...it's small, and the juice yields are frustratingly low, but it bears annually and the fruit is super concentrated. 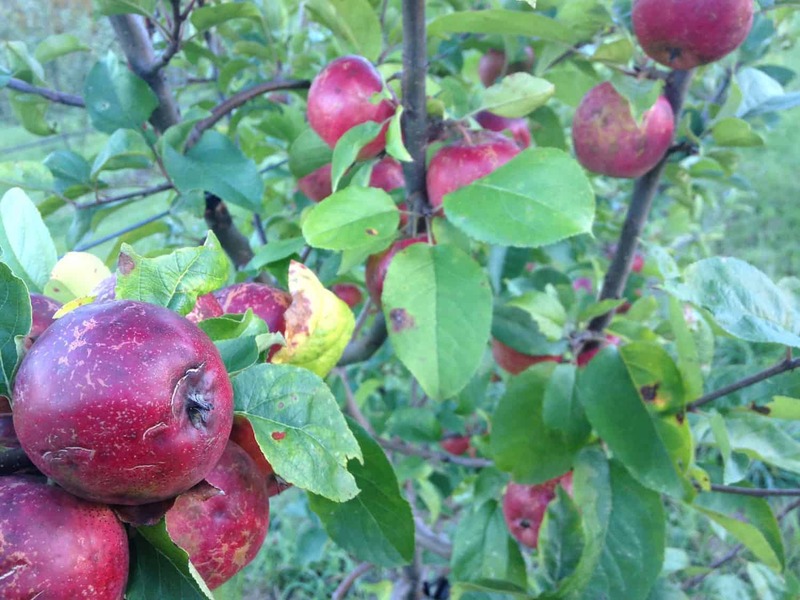 Blooms early, ripens early, and it very susceptible to scab. 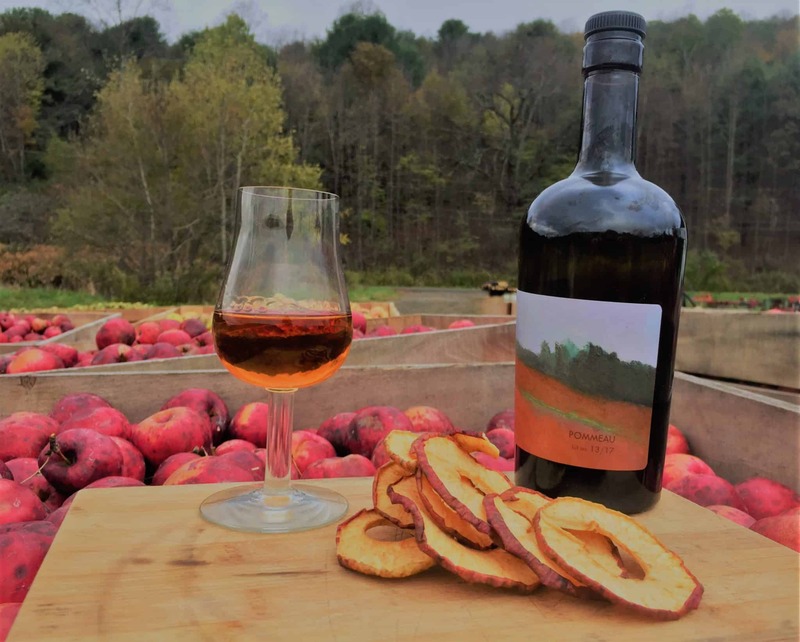 This highly biennial apple adds soft, supple tannin to the structure of a cider which tends to make the cider more voluptuous and approachable. In addition, it has lovely complementary aromatics like orchard floor, leather and smoke. This apple is a great, complimentary source of acid. It’s very concentrated, allowing less to be used so the intensity of the main bittersweet or aromatic character is retained. 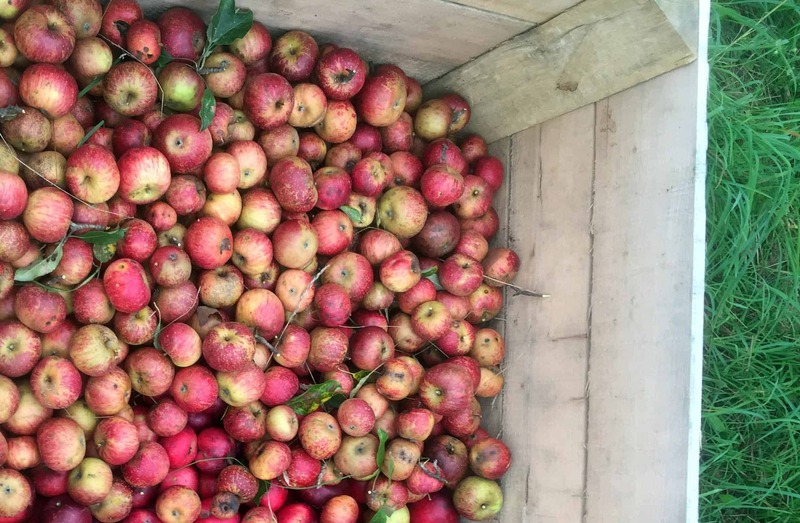 Want to know what cider made from these varieties tastes like? We list varieties on our labels and in our online store.